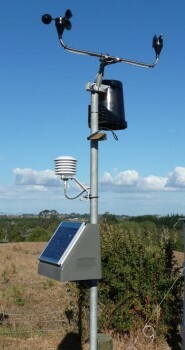 While we call this station our standard Ag/Hort station, it is powered by a high quality Campbell Scientific datalogger, with sensors selected for their accuracy and reliability in New Zealand conditions. It has specifically been designed for farmers who want ongoing, reliable climate data for their farm. It measures all of the main weather parameters and calculates evapotranspiration and Growing Degree Days.